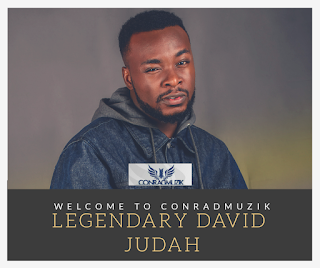 Chicago Illinois based Conrad Muzik announces the signing of rising Christian Rap artiste Legendary David Judah. 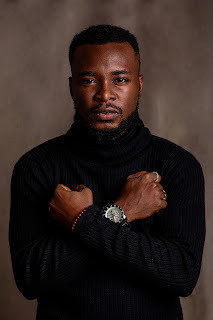 Conrad Muzik the brain child of Nick Omor-Agbonifo MD was founded in 2015 in Chicago Illinois, USA and extended to Nigeria in 2017 under the Umbrella of Gold & Gladys Media, a limited liability company incorporated under the Companies and Allied Matters Act, Laws of the Federation, 2004. 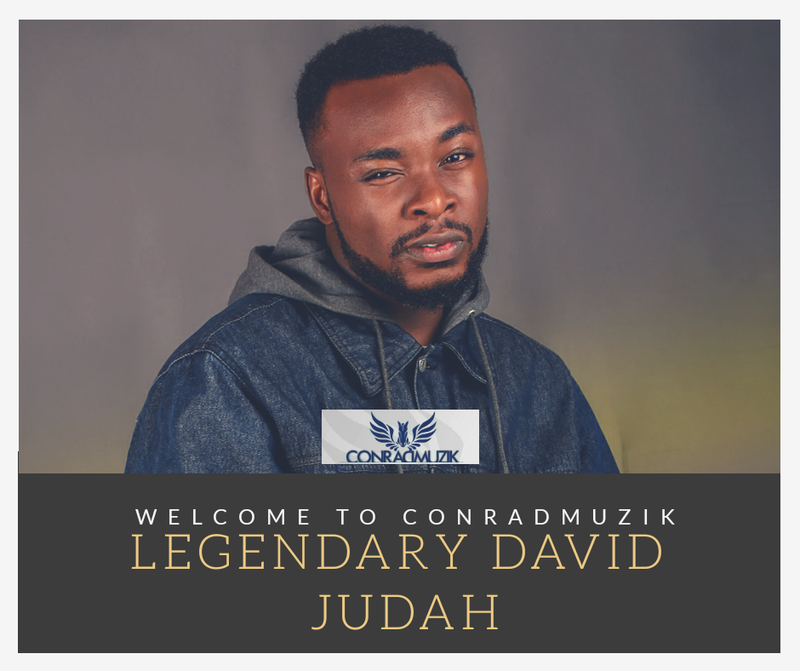 Conrad Muzik is dedicated to sourcing and highlighting the best trans-generational sounds and Conrad work in every aspect of modern entertainment with record artists, producers and song writers. According to the Manager of the label, Barr. 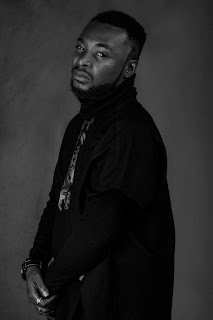 Chike, ''In Conrad, we master the art of thinking with sound and also support our divergent roster of talents through artist management, music publishing, touring and strategic personal brand development''. David Beke aka Legendary David Judah is a Gospel rapper/singer like no other. Judah was born and raised in the city of Port Harcourt, Nigeria. His love hip-hop began over a decade ago with his inspiration for music stemming from a constant exposure to the sounds of Coolio and the Fugees' 96/97 album which was on constant repeat in his home. David is a young and talented singer who pours out his soul in songs and his heart in service to God and humanity. He communicates his faith through songs and raps. He believes in his God and also in himself and this rings through every note of his raps and songs. He does a brand of gospel music that blends secular sound with an uplifting devotional message. He ministers with a unique healing anointing which he joyously brings to the people. He has performed alongside international gospel acts like Tim Godfrey; Sammie Okposo, Eben. Joe Praise, Freke Umoh and Onos Ariyo. David Judah began receiving national recognition after releasing his first underground track 'Dunamis' back in 2014. Also speaking about their future plans, Conrad management said ''Conrad is desirous of promoting David Judah to be the best Gospel Artiste in the World by bringing out the raw talent in him and ensure that his music hits the global stage. It is also our plan to hook David up with international players in the music world and ensure that he his regular on the world stage''. 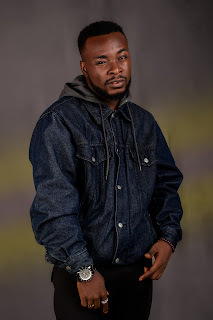 Check out Legendary David Judah's latest single titled ''Feel Okay''. You dey always dey count the things when be say God never do for you but mehnn, if you dey learn how to count the things GOD don do for you omo boy I swear ehhn kai my people YOU GO FEEL OK. But omo no dey complain jes count your blessings you go feel OK.
Omo dem dey ask you kilode? Lord see Chima and yemi don blow when you go do my own nau? When u go make me shine? When u go do my own nau? Na who dey feed the birds of the air? Na who dey clothe the grass of the field? Na you dey gee d monkey banana? Yea you go feel okay yea you go feel okay you and your people get to party like this allday. Time no dey again Abeg speak to me. This things wen dem dey yan no be make believe. [God Speaking] I AM the Lord GOD! Is there anything too hard for me to do? Who showed the waters were to stay? Who told the eagles where to play? Why do you fear, why do you fear why do you care?